All additive manufacturing (AM) processes feature layer-by-layer fabrication of three-dimensional objects, but production techniques vary. Printing processes can be classified either by their energy source or the way the material is being joined, for example using laser or a binder. Sandvik has all major print processes for metals in-house, being able to always recommend the most optimal additive process for a certain application or material. Powder Bed Fusion Laser was selected for the printing of the smash-proof guitar. “Being independent is important to us. 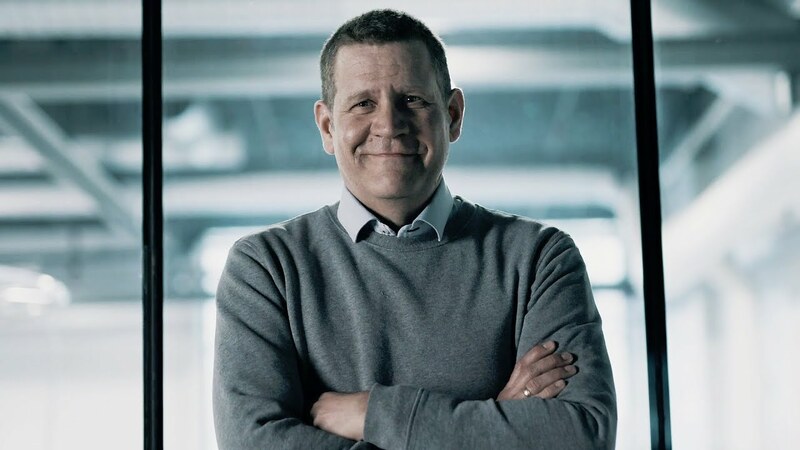 With all relevant printing technologies for metals in-house, including different printer brands, it means that our customers can always trust that we will choose the most optimal additive process for their component, says Mikael Schuisky, Head of R&D and Operations at Sandvik Additive Manufacturing. “Powder bed fusion methods are suitable for a variety of materials and applications, as parts typically possess high strength, with a large range of post-processing methods available. It is also ideal for design of very complex geometries, that’s why we decided to use Powder Bed Fusion Laser to print the titanium body of the smash-proof guitar”, says Mikael Schuisky. It is about defining the most optimal printer parameter settings and processing combinations matched to a specific material and AM-application, so that the end-component will get the desired properties. Sandvik’s know-how is based on extensive R&D efforts since 2013, where different printing technologies have been mapped with different materials and post-processing methods – gathering an extensive pool of knowledge. Sandvik’s additive manufacturing machines include printers from companies like Renishaw, EOS, Concept Laser, Arcam and ExOne. As a collective, these machines cover a very wide range of printing technologies for different materials and applications. The ability to ‘print’ – or “add”, rather than subtract from solid material, means internal structures can be made with new levels of complexity, therefore making end products and components more fit-for-purpose. Powder Bed Fusion uses either a laser or electron beam to melt and fuse the powder together. The melting process is repeated, layer by layer, until the last layer is melted and the parts are complete. Then they are removed from the build plate and post-processed according to requirements. Binder Jetting, meanwhile, uses a powder-based material and a binder, usually in liquid form, which acts as an adhesive between the powder layers. A print head moves horizontally and deposits alternating layers of the build material and the binding material. After each layer, the object being printed is lowered on its build platform. “When it comes to Binder Jetting the object comes out from the printer in a green state, so post-processing via a sintering furnace is required. The green body is cured in the furnace to remove the solvent from the binder, and finally de-bound and sintered to near full density in a sintering furnace”, explains Mikael Schuisky. In fact, to achieve the right properties such as surface quality, geometrical accuracy and mechanical properties, nearly all additive manufacturing components need post-processing of some sort. This can include heat treatment, separating the components from support structure and build plate, sintering, machining, surface finishing procedures, as well as testing and certification. Meanwhile, internal surfaces, such as internal cooling channels, can be polished using abrasive flow machining. “Sandvik has more than 75 years of leading expertise in post-processing methods, such as metal cutting, sintering, heat treatment, as well as hot isostatic pressing (HIP). Our advanced post-processing portfolio ensures that all additive components reach their full potential and that they match our customers’ specific requirements”, explains Mikael Schuisky. Additive manufacturing is forcing design engineers to rethink everything they do. That might sound a rather dramatic thing to say, but when you look at the freedoms being unleashed by this rapidly emerging technology, then it quickly becomes a statement that holds true. “This technology totally redefines the approach to design and to what’s possible to produce in one piece, but it takes an open mind and quite some designing skills. It is, for example, important already in the design phase to develop a 3D-design that will minimize the need for post-processing. It has become more and more evident for the industry that the post-processing step can be quite expensive for additively produced components, if you don’t consider this in the design phase”, says Mikael Schuisky. The guitar nobs and stoptail were also printed, since these structures also were complex – and only a few pieces of each should be produced. They could all be printed on the same building plate, even if the designs were completely different. The surplus powder could be reused for another print job. For the printed guitar body, knobs and stoptail post-processing methods like blasting and machining were used.